What types of fencing can you install? 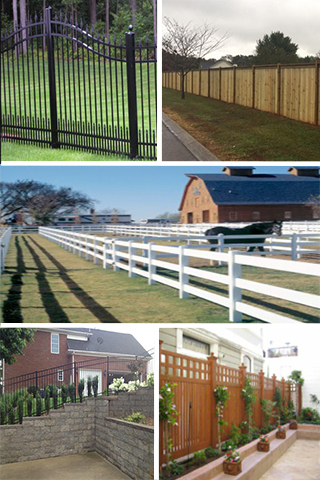 Here at Middle Tennessee Fence, we do a variety of fence installations in Nashville, TN. We can do chain link fencing, wood fencing, vinyl fencing, aluminum fencing, and steel fencing. We can also install commercial fencing, farm fencing, pool fencing, and privacy fencing, in addition to fencing gates. How do I know what fence type is best for my project? You may have an idea of what type of fence you want in terms of aesthetics, but you need to weigh the positives and negatives of each fence type so that you select the best one for both visual and practical applications. You can look at our fence style pros and cons list, and you can also ask our fence installation experts in Nashville, TN for their advice. If you need something other than or in addition to a fence installation in Nashville, TN, we can still help! We can also install automated gates and electric gates with security access, decks and deck railings, pergolas, brick and stone columns, and retaining walls. Do I need a building permit for my fence installation? Nashville, TN residents do need a building permit for a fence installation, but you don’t need to stress about it! We will take care of all permits to ensure your fence installation in Nashville, TN is done properly, legally, and within the confines of the city ordinances. With a quality fence installation in Nashville, TN, your fence should last quite a while. The exact amount will depend on the type of fence and level of care and maintenance it receives. In general, wood fences last 15-20 years, chain link fences last 20-30 years, vinyl fences last a lifetime, and aluminum fences last a lifetime.